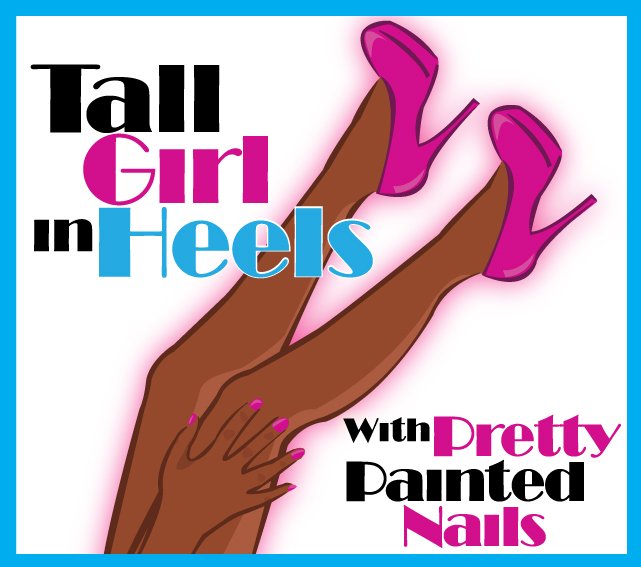 Tall Girl In Heels : Nails: Pretty & Polished March Beauty Box: Review and Swatches! Nails: Pretty & Polished March Beauty Box: Review and Swatches! Today, I have the review of the first Pretty and Polished Beauty Box exclusive polishes. If you remember from this post I showed all contents of the box and today I have the swatches!! The names of the polishes are Liquid Gold and Day in the park. I think both polishes are very pretty, but I have to say my favorite is Day in the park! Day in the Park is a light blue base with circle and hex glitter. The glitters are blue, green, gold and pink. The consistency was great on this one. I had no issues applying the polish. The dry time was great and the result was pure girly cuteness (lol). What do you think? I'm in love with it!! Liquid Gold had a good consistency. I had no formula issues on it either. I must say I was impressed with both of these polishes. Liquid Gold is a gold polish with tiny iridescent glitter. What's your opinion of these? Do you want to purchase a beauty box from Pretty & Polished click here. April is available for purchase now.